Triumph Motorcycles America is recalling 2,824 model year 2016-2018 Thruxton and Thruxton R motorcycles. The engine may stall if the throttle is open or closed quickly while the clutch lever is pulled in, increasing the risk of a crash. Triumph will notify owners, and dealers will update the engine management software, free of charge. Owners may contact Triumph customer service at 1-678-854-2010. 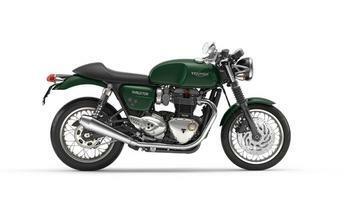 Triumph's number for this recall is 33.